Asscher cut diamond half eternity ring. 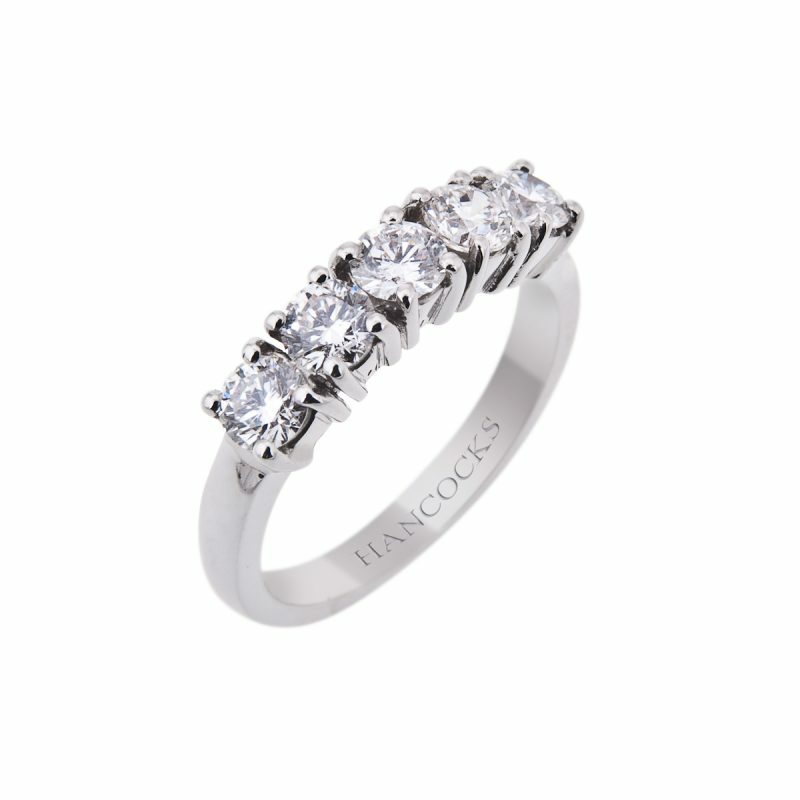 Precious platinum forms the mount for five matched stones, each held in a classic claw setting. 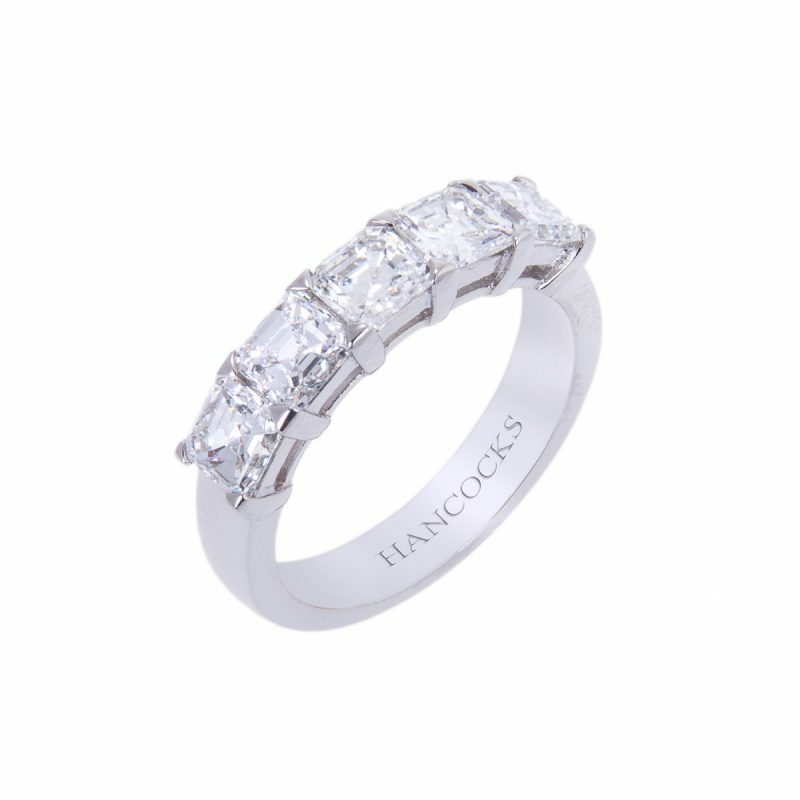 Hancocks have created a ring for the discerning jewellery wearer. Perfect for that special anniversary, the birth of a first child, there isn’t a more meaningful way to mark those significant milestones in life’s journey than with this stunning eternity ring.